The Winter Olympics will be starting soon and millions of people will be focused on gold medals. I started exchanging blogs almost five years ago, as part of a NonProfit Blog Exchange. Through this I've been introduced to many people and organizations which I had not known previously. This time, I'm assigned to write about a blog titled Getting Reading: Tips and Ideas, which happens to be hosted by an organization titled Reading Matters, based in the UK. I skimmed through their web site and blog and there are many tips that volunteers, educators and parents in Chicago might include in their own efforts to help young people read better. What I really liked was the map they used to show schools that are using the Reading Matters program. As you know, I use maps, too. Our aim is to connect resource providers, volunteers, students and parents with existing tutor/mentor programs in Chicago. 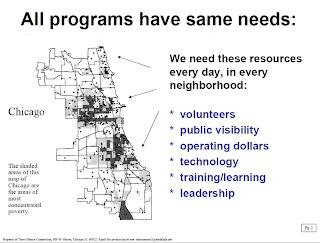 Such a map would enable organizations like Reading Matters to target all of the tutor/mentor programs in the city, in their effort to distribute their expertise to more of the places where they are needed. I was in the UK in June 2008, to speak at a Conference hosted by Learning Mentors, which is primarily a school-based support service for at-risk students. My goal then, as it is now in connecting with Reading Matters, is to share ideas, and forge alliances. If they can use the information on my site to help build more supports for kids in the UK, that's good. If this results in people from Oxford and other universities in the UK, or companies like HSBC Holdings, helping us do what we do, that's even better. So what does this have with the Winter Olympics? In researching past blog exchange articles I found this one that I wrote titled Do They Give Gold Medals for Ending Poverty? Right now nations throughout the world are earning Gold Medals for how well they are responding to the needs of the people in Haiti. However, what type of medals were they earning a month ago? What sort of medals will they be earning for help they give to people in Haiti a year from now? And while worldwide attention is focused on Haiti, what happens to all of the other social benefit organizations in the world, such as tutor/mentor programs in Chicago and AIDS organizations in Africa, who depend on charity donations to provide a constant level of support to their own clients? It would be ideal if donors would divide their charity dollars into three categories so some would be available for emergencies, some would be available to fund issues of importance to the donor and his/her personal family or community, and some would be consistent donations made over many years to help social benefit organizations do work that cannot be done with an inconsistent and undependable flow of dollars. I created this chart to illustrate this idea. I'd like to see Gold Medals awarded for every giving category, supporting causes on every continent. That would really be the Olympic spirit and an outcome of blog exchanges like this. What is a Tutor/Mentor Program? With so much emphasis on tutoring and mentoring, I wonder what the "mental picture" is in the minds of people who hear these words? I think that depending on where you live, how you were raised, what level of education your parents and neighbors have, you will see a different image in your mind when these words are said. That makes if difficult to develop a national strategy that would make the "right kind" of tutor/mentor program available for the different circumstances that youth are dealing with in neighborhoods across America. I created a short power point essay a few years ago, which I call Defining Terms. I encourage you to read it. However, I also encourage you to look at the blogs I've listed below. Each one shows an activity that some of the teens at Cabrini Connections engage in each week. Each activity is led by different volunteers. Kids can participate in these for one or more years while they also have a separate one-on-one mentor/tutor who they meet with each week on either Wednesday or Thursday evening. It's the combination of all of these activities, where everyone is focusing on helping kids go through school, college or vocational school, and into jobs and careers. Profiles of students and volunteers. This is all part of a strategy shown here on the Cabrini Connections web site. Finding the money to pay the rent, salaries of our small staff of leaders who coordinate the work of more than 90 volunteers and 75 teens, is extremely difficult and constantly frustrating. Thus we need to be creative. This month we've launched Cabrini Madness, where teams of students, volunteers, staff and friends are each competing with each other to see which team can raise the most money by April first. If you want to borrow ideas from what we do, to build or expand your own tutor/mentor program, please do. If you'd like to support us to help us keep helping the teens and alumni of Cabrini Connections, make a donation to support one of the Cabrini Madness teams, and encourage your friends to do the same. 57 million watch NFL game. 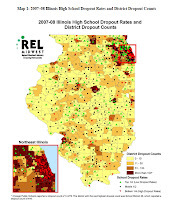 How Many Spend time Thinking about Consequences of Dropping Out of School? Yesterday I attended a public forum hosted by The Chicago Urban League, The Illinois State Council on Re-Enrolling Students who Dropped Out of School, the Alternative Schools Network and the Latino Policy Forum. The highlight of the meeting was testimony by youth who attend alternative schools in Chicago who talked about how important it is for teens to have jobs, as stepping stones to college and careers, to help pay the bills for their own families, and to keep from being involved in negative activities. More than 20 elected officials attended, along with myself and over 100 other interested organizations. Jack Wuest does a great job of organizing events like this, and the Alternative Schools Network has all of the publications and media links on their web site. There were feature stories in Time Magazine, the Chicago Tribune, the Chicago SunTimes, but how many people are spending as much time reading and reflecting on these stories, as they spent last weekend watching National Football League games? Jack said "this is important to our Democracy". Is NFL Football as important? Even if we had millions of people reading the articles on Drop Out Crisis from this week's media, and from the efforts of groups like America's Promise, how do we keep the attention focused on these issues every day, so more people understand the problems, then act in some way to help kids from many locations come through school and into jobs and careers? One suggestion would be to enlist students as researchers, communicators and leaders in this process. The testimony of students at yesterday's meeting was great. One student did a "rap" that received a standing ovation. However, these were just drawing attention to the problem. They did not draw volunteers, resources and jobs to places on the map of Chicago where youth need jobs, and where youth need business mentors to help them find paths to jobs. At the right is a graphic created this week by one of the interns working at Cabrini Connections. It shows a map of Chicago, and how one person can recruit his/her friends, employees, faith community, and point them to information such as hosted on the Alternative Schools Web site, or the Tutor/Mentor Connection web site, and point them to programs all over the city where volunteers and donors can help. In the Video section of the Cabrini Connections web site you can see other ways students can be involved in creating, and distributing the "get informed, get involved" messages on a daily basis, which are needed to build an audience of fans who will take a personal, and passionate, interest in helping youth in America become the leaders of America's future. Youth as leaders, starts with youth as learners and researchers, then grows to youth as communicators, and youth as mobilizers. These graphics and videos illustrate how youth can use the new social media of the Internet, to mobilize forces for change, and to help them in their own pathways to careers. Each year since 1976 I've started January with two goals in mind. One was to keep the current group of youth and volunteers involved through the end of the school year. The second was to enlist some of the students and volunteers as leaders who would work with me and other volunteers to help the program improve, and grow, as it moved into the next school year starting in late Augusts. This is a business process, based on Total Quality Management. We learn from what we are doing at Cabrini Connections, and what others are doing in their own programs. We learn from our network, and the ideas that are all around us. In 1976 I did not have the Internet as a resource, and frankly, I did not know nearly as much, or have as much sense of purpose, as I have today. I've learned this over many years, one year at a time. I've learned from my experiences as a retail advertising manager with Montgomery Ward, from three years in Army Intelligence, and from my college years in the 1960s. I've learned from our students, and from our volunteers. I've dramatically expanded what I've learned from using the Internet to expand my network and the range of ideas that influence my actions. I'm trying to help our students and volunteers expand their networks, and learn from the same library of resources that I learn from. That's why I point to www.tutormentorconnection.org as a resource. Thus, if we can keep most of our students and volunteers involved through June 2010, and have some become leaders who provide time, talent and sweat-equity to help improve the program, we'll start the 2010-11 school year with even more hope for helping our kids to careers than we have in the past. 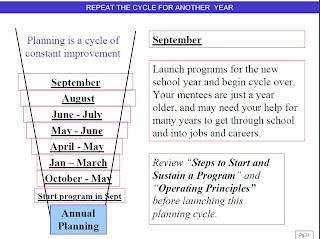 I share this planning cycle on the Internet, along with these blog articles, so other programs in Chicago and in other cities can learn from our experience as they build their own programs. Support one of these teams with a donation and help us continue to share what we're learning with our own students and volunteers, and with leaders of other tutor/mentor programs. View the video. See what our teens have to say about their mentors. Support this work at Cabrini Connections with a personal donation, a grant, or by encouraging others to give. What makes our non profit unique, is that while we operate a single program, we created the Tutor/Mentor Connection in 1993 to help every poverty neighborhood in the Chicago region have great volunteer-based tutor/mentor programs. Visit our web site to learn more about how we do this. Support us with a donation and you will help us with both Cabrini Connections, and the Tutor/Mentor Connection. The Chicago SunTimes reported today that "Phillips High and Marshall High School are among 14 Chicago public schools expected to face massive shakeups, the Chicago Sun-Times has learned. The map below shows the location of Phillips High School, and the levels of poverty around it. Our aim is to encourage the growth of non-school tutoring, mentoring, arts, technology and learning programs in the area around failing schools, so kids have a wider range of people to model jobs and careers, and to help them come to school more prepared to learn. 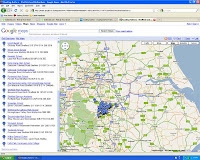 The Program Locator map is just one tool to do that. It enables you to zoom into a section of the city, build layers of information, such as poverty, poorly performing schools, existing tutoring and/or mentoring programs. It also enables you to add other layers showing faith groups, businesses, hospitals and/or universities who might be in the same area, and that could provide volunteers, technology and dollars to support innovative non-school, and school-based involvement. About 10 years ago I created a map anlaysis of the area around Phillips HS. Such a report could be prepared by any of the local leaders, or even by students at one of the schools. 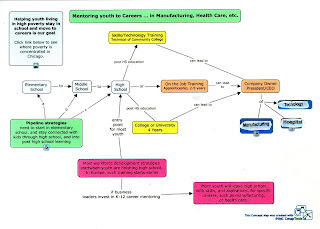 Using the other resources on the Tutor/Mentor Connection site, a strategy could be developed that engages all of the resources of the local and expanded community, to help kids prepare for school, and for jobs and careers. What is a tutor/mentor program? Visit the Chicago Program Links and browse the list of web sites. This shows a wide variety of organizations. However, if you use this list, and links to other tutoring/mentoring programs in other cities, local leaders can borrow ideas from each, and make their own programs the best of them all. This can happen if business and philanthropic resources become consistently available for the long-term growth of constantly improving programs. It is sad that the earthquake in Haiti has caused more pain and suffering to people who already have more than their fair share. I encourage those who can, to provide donations to help those in need. However, after the dead are buried, and roads and buildings are repaired, the poverty that was there in the first place, and the problems that caused it, will still be there. This is no different than the poverty in urban America. Here's a research article showing how "believing that you won't be alive beyond your teens" fuels negative actions and calls for different policy and solutions. Finding ways to get people who don't live in poverty, personally connected with the youth and families who do, so they become personally interested, and thus more willing to go beyond "random acts of kindness" in the ways they use their time, talent and dollars, is the goal of Cabrini Connections, Tutor/Mentor Connection. This thinking can help people build better lives in Haiti, New Orleans, and many other places, not just Chicago. This article was written by Phil Wilson, a college fraternity brother of mine who lives in LA and works in the AIDS sector. It's worth reading. This is a follow up written by Phil, titled Young Black Men are Precious, too. The more we understand the challenges inner city youth face, the more we can support a tutor/mentor strategy that expands the network of adults who support them. Today the Chicago Tribune featured a story about a program in Baltimore that is working with high risk youth. This is the program Chicago Public Schools is bringing to Chicago. This week Time Magazine featured an article about the decline of jobs for teens in America. These represent two parts of the same problem, but are they connected in the media, or in public policy? Youth without jobs living in high poverty areas represent a breeding ground for negative behavior and illegal commerce. Youth without mentors, extra learning, or role models to show paths through school and into careers, are more vulnerable to be recruited by the negative forces in their lives. 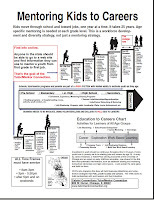 What are leaders doing to help all youth move through school to jobs and careers? Do you see any of these ideas from the people who want to be elected to be Governor, Senator, local representatives in Illinois? Our maps show that there are already too few volunteer-based tutor/mentor programs, and they are poorly distributed around the city. Unless volunteers and donors step forward in January and this spring, some of the existing programs may run out of the money needed to continue. Unless other leaders step forward, we'll never increase the number of good programs. Unless businesses connect these programs to their workforce development strategies, we won't have jobs/vocational training to help kids stay in school and move to legitimate careers. Who is writing about this? Who is advocating for this? In other cities and states there are "mentoring partnerships" which are funded by state, government, business and foundation donations. According to the National Mentoring Partnership, these operate with budgets ranging from $300,000 to $1 million per year. 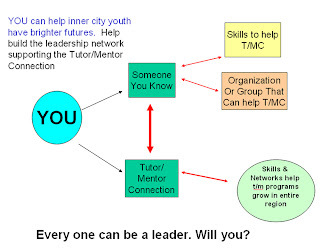 The Tutor/Mentor Connection operates with less than $225,000 in the third largest city in the country. Yet we do much with our money to draw volunteers and donors to individual programs, and to help programs grow in areas where none now exist. If we want to address the issues of poverty, gangs, violence, poor schools, future workforce, we need leaders who will support the growth of individual tutor/mentor programs throughout the region, and we need leaders who will provide funding to the Tutor/Mentor Connection at a level that is near what other partnerships receive. 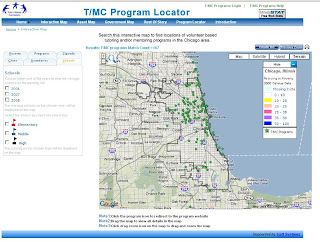 If you can help, use the resources on the T/MC site to connect directly with individual programs, or call the T/MC at 312-492-9614. I encourage you to read the article Mike Trakan (of the T/MC) has written that makes a case for everyone being invested in mentoring throughout America. Mike creates most of the maps we show on our blogs. These are intended to focus this investment in high poverty areas, and locations with the greatest number of youth failing to finish high school, or get the skills they need to fill the 21st century jobs that industry is trying to fill. During National Mentoring Month, as you see images of mentoring, I hope you'll read some of the articles Mike and I have written, and follow the links, to build a deeper understanding of of what we mean, and how the tutor/mentor strategies can be adopted by any business, university, faith group, as their own. Obama Supports Mentoring. What's the Strategy? This is a powerful invitation for citizens to become involved in tutoring and mentoring programs. Following are some images that we hope you'll consider, so your involvement has the desired impact. What do you want to happen? I urge you to look at this chart and think of what our aims are from National Mentoring Month, or from all of the money we put toward volunteer service, mentoring, tutoring, etc. Isn't the goal to help kids grow up to be strong, contributing adults? If the youth is just starting first grade in 2010, the support system may need to be in place for 15 or 20 years. If a youth lives in a high poverty neighborhood, or a broken home, then the types of support, beyond mentoring, will need to be even greater. 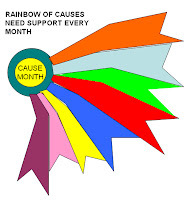 If the goal of Mentoring Month, or any other form of civic engagement, is to encourage people to be volunteers or leaders in tutor/mentor programs, what strategy and resources are in place to help people find programs in their community? What strategy is in place to help every program be able to support those volunteers so they become effective tutors/mentors and have an impact on the growth of the youth they mentor toward a job and career? 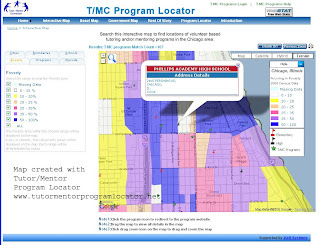 This graphic shows a map of Chicago, and you can use the Tutor/Mentor Program Locator to zoom into different sections of the city to learn what programs are available, or what neighborhoods may need more programs. However, every program has the same needs for volunteers, donors, technology, etc. and these needs must be filled every day, every year if the program is to continue as a support system to help the young person move through elementary school, middle school, high school then to a job. Big cities like Chicago have a need for several hundred great tutor/mentor programs. What leadership is in place to make that happen? How many of you are thinking of a planning calendar as you consider where and how to volunteer? What are programs doing in January that assure they will be starting the 2010-11 school year in August with good ideas, more volunteers, and adequate funding? What are business leaders and volunteers doing to support this process? I'll write more about this in the next few weeks as the National Mentoring Month media draws attention to this issue. I encourage you to read the articles on the Tutor/Mentor Institute site that expand upon these concepts. If your in a consulting, training, facilitation, marketing or technology role, I encourage you to think of ways you can use your talent and resources to support this process, and help your community have a full range of mentoring and tutoring resources to help kids through school and into careers. 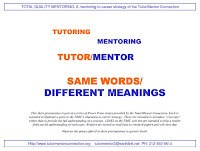 The goal of the Tutor/Mentor Connection is to collect information that other people can use in their own communications and leadership. The more this happens, the louder the roar will be from the tutor/mentor community, and the more we'll be able to draw resources to support growing tutor/mentor programs in many places. Two interns have joined us from Loyola University in Chicago and they are both writing blog articles to share their understanding of what we do, with people they know. Iesha Wilson joined us yesterday, and wrote a beautiful introduction on her Ning blog. Jordan Merlo joined us before Christmas, so she has already written a few articles on her Ning blog. We will have additional interns joining us in late January and you can meet them in the Groups on our Ning site, or read about them on our Intern blog, which was started by and Intern from Hong Kong a few years ago. January is National Mentoring Month . It's intended to celebrate mentoring and hopefully encourage more people to be volunteers and donors who help make mentoring programs possible. This picture shows me in 1973 with the first boy I mentored. He's now an adult, raising his own family, and we're still connected on Facebook...36 years later! Leo is one of more than 4500 Cabrini Green area young people I have met since 1973. I'm connected to many of these former students via the Internet, along with many of our former staff and volunteers. We make a statement when people join Cabrini Connections. "Once in Cabrini Connections, Always in Cabrini Connections." It was hard to make this a reality in the past because we've never had enough money to support the 7th to 12th grade student/volunteer pairs with us each year, let alone reach out to maintain the network of alumni. Now Facebook and Linked in are making this easier than ever. In 2010 and beyond we hope to be offering networking and career support activities that help strengthen our alumni network, while keeping our promise to "do all we can to assure that our kids are in jobs and careers by age 25." We can't do that unless our volunteers and donors also "do everything they can" to help. Thus, when you see a TV ad talking about mentoring, I hope you'll immediately be motivated to search for Cabrini Connections, or another tutor/mentor program where you can give financial support so that program is able to maintain it's connections between kids, volunteers and alumni.